Flat, low, practical load area. Easy and relaxing to drive. Well-equipped in most trim levels. Single choice of petrol engine is poor. Not as good to drive as a Focus. 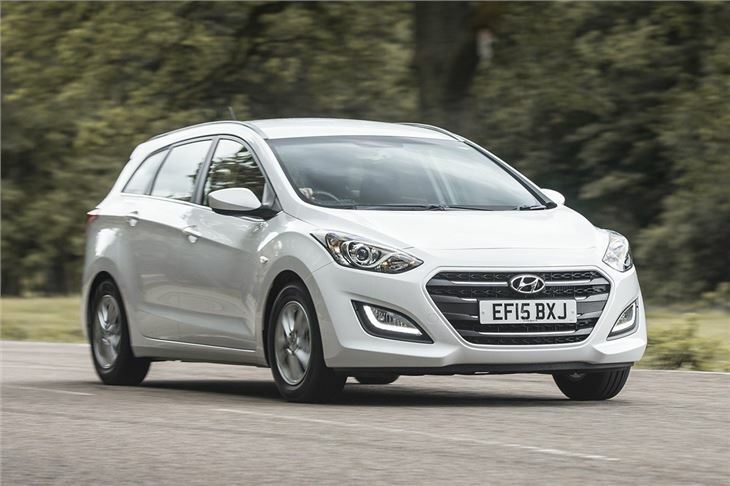 Affordable to run, well-made and practical, the Hyundai i30 Tourer is a sensible alternative to the default choice of Volkswagen Golf or Ford Focus when it comes to smaller estate. Running costs are low and thanks to a five-year, unlimited mileage warranty, owning one should be a painless experience. 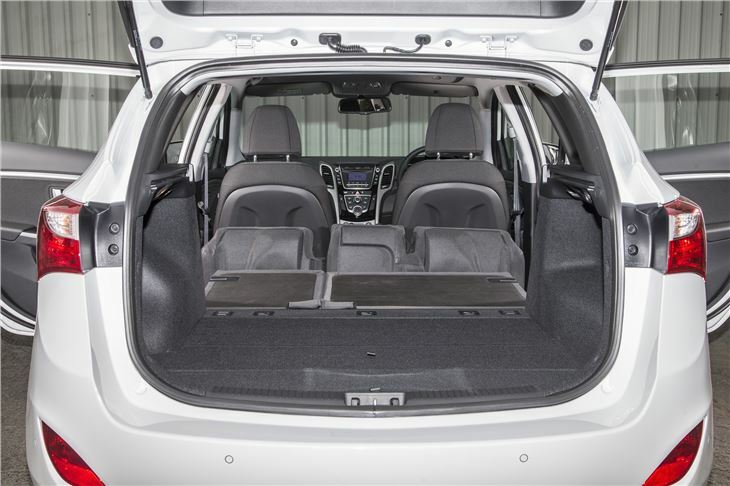 The maximum load capacity is 528 litres with the seats up and 1642 litres with them folded. That means the i30 Tourer has a larger load area than the Ford Focus Estate, but lags behind the Peugeot 308 SW and Volkswagen Golf Estate with the seats in place – both models have more than 600 litres of capacity. That said, there isn’t much to separate them in real world use. 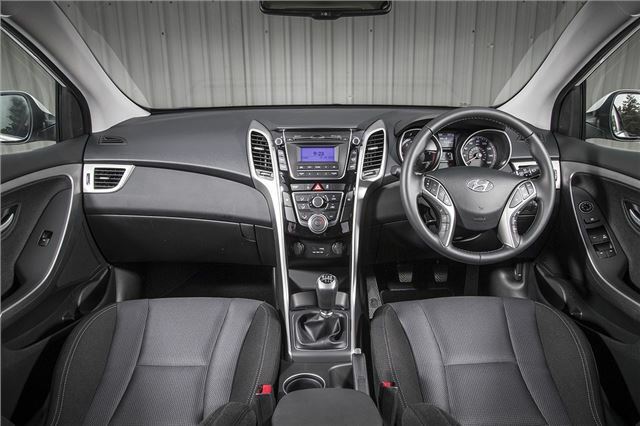 The i30 has a nice low load deck, so getting items in and out is very easy and the boot floor is largely flat. 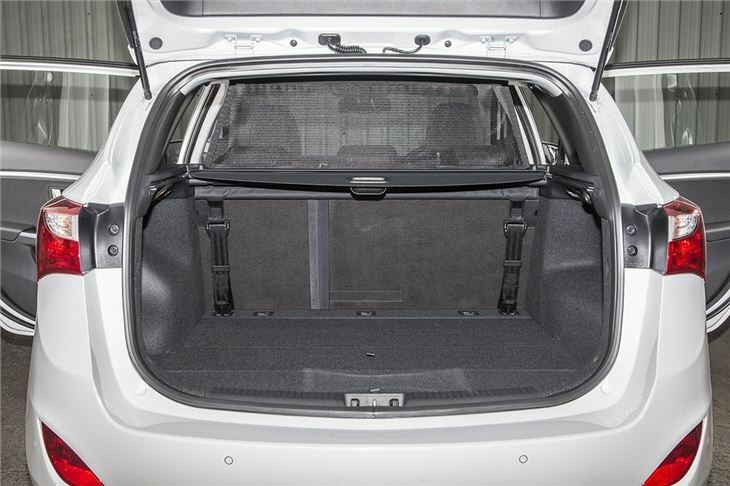 It’s dog-friendly too – the load height is low enough for most dogs to jump in the boot without any help. There’s plenty of storage for small items in the cabin too. Build quality is very impressive, with sturdy plastics that don’t creak or rattle. Up front there’s plenty of adjustment for the driver, so getting comfortable is easy, while the back row is big enough for adults. Even the middle seat is useable, since there is no bulky transmission tunnel to eat into leg room. The engine range features a 1.6-litre 120PS petrol engine and a 1.6-litre diesel with either 110PS or 136PS, paired to either a six-speed manual or seven-speed automatic transmission. 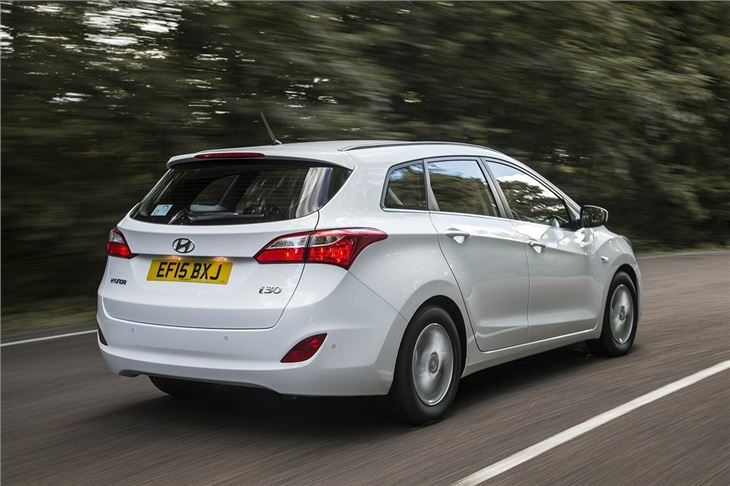 The i30 Tourer is much better with a diesel engine, thanks to superior performance and economy - the most frugal variants are officially capable of 72.4mpg, with emissions of 102g/km. 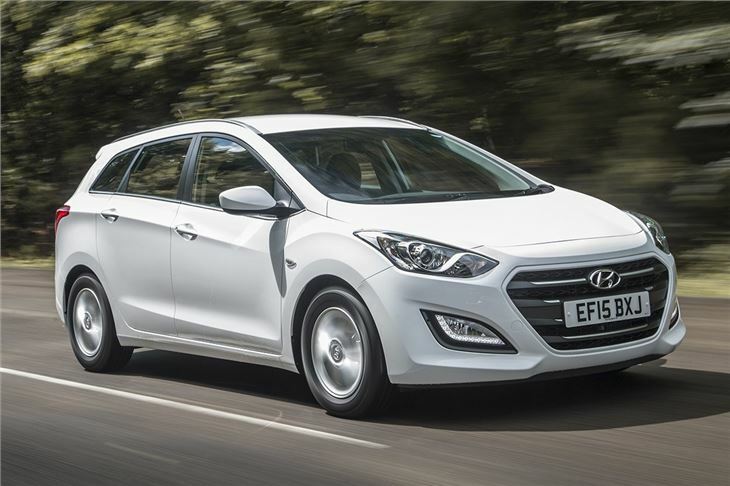 Whether with 110PS or 136PS, the 1.6-litre CRDI is smooth and quiet, providing a good amount of low down torque. 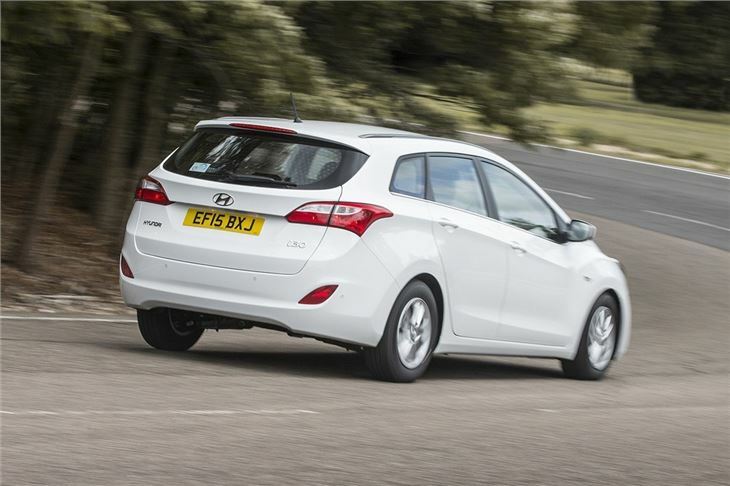 Refinement is very good and the controls are light, making the i30 easy to drive on all kinds of roads. It’s especially good as a motorway cruiser and makes long journeys very relaxed. As a family car it’s extremely hard to fault the i30 Tourer. It’s practical, comfortable, well-made, affordable and easy to drive. A Ford Focus is more fun on a country road and a Volkswagen Golf feels plusher, but as a user-friendly, affordable estate the i30 Tourer is great. Factor in the competitive warranty and it’s easy to recommend.